A multimedia journalism professor who covers social media, web publishing and internet technologies. To start, go to Pinterest.com. You have three choices to sign up — with your Facebook account information, your Twitter account information, or by providing an email address and creating a new Pinterest account. Sign up for Pinterest by creating a username. If you create a new account rather than using Twitter or Facebook, Pinterest will ask you to confirm your email address. Your Pinterest username must be unique but you can change it later. You can have three to five characters in your Pinterest username, but no punctuation marks, dashes, or other symbols. Next, go to your email inbox and look for the confirmation message that Pinterest will have sent you. It should contain a confirmation link that you must click on to go back to Pinterest.com and finish signing up. If you don't want to create ​a Pinterest login, you must provide Pinterest with your login to either your existing Facebook or Twitter account, including your personal login name and password. You can use one of those as your Pinterest login. One advantage to using your Twitter or Facebook login as your main Pinterest sign-in is that Pinterest will be able to help you connect with your Facebook or Twitter pals right away. Without that social network connection, you will essentially be starting over in building friends on Pinterest. Another advantage, of course, is it's easier to remember one login than two. It's a good idea to create a new Pinterest login and password, though, especially if you just want to check out Pinterest for a while before connecting with one or more of your other social networks. Pinterest is a very different kind of network, and you may want to connect with entirely different people. You can always add your Facebook or Twitter IDs to your Pinterest profile later by going into account settings and clicking the On button next to Twitter or Facebook. Whatever Pinterest username you choose will form the unique URL or web address for your Pinterest page, such as http://pinterest.com/sallybgaithersy. In each case, your username forms the last part of your URL. In this example, the username obviously is sallybgaithersy. Pinterest will let you know if any particular username you want is already taken. You can change your Pinterest username or email address later by going into your account settings and typing a new one. For more detailed information about usernames and passwords, the Pinterest help section offers a simple FAQ on account signup and editing procedures. During signup, Pinterest will helpfully suggest you create an image "board" or two where you can "pin" or save images once you get going. It's a good idea to accept the offer and click to create those boards. You can edit them later, giving them titles that reflect whatever purpose you may conceive, such as collecting visual ideas for a home decorating project or a planned vacation. Companies that want to use the image-sharing site can sign up for a special, free business account that confers a few advantages, such as the use of buttons and widgets. Pinterest offers a special sign-up page for business. Anyone can browse its image collections, but only people who become members, establish a Pinterest username, and register for a free Pinterest account can post and comment on pictures or start pinning, organizing, and sharing images on the virtual pinboard system. So there is strong incentive to join Pinterest.com rather than just lurk. 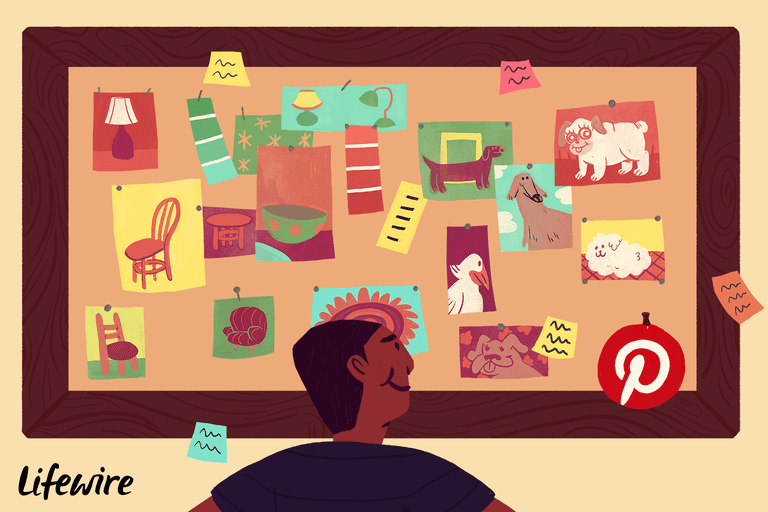 Even without a membership, of course, you can still browse Pinterest's image boards and explore any Pinterest board by topic. The photography channel, for example, has gorgeous photos. Travel and Outdoors do, too. Pinterest's remarkable traffic growth suggests a lot of people do indeed like it. Alexa, a web measurement firm, ranked Pinterest as No. 78 globally and No. 28 in the United States for total web traffic as of mid-summer 2018. For an update on Pinterest's traffic, take a look at this page that Alexa maintains showing the latest Pinterest.com statistics. Looking for the Best SmartPhone App for Pinterest?